Each session the coaches will perform a mid-session and end of lesson evaluation with each skater. Skaters must be able to perform required skills in their level in order to move to the next level. If the skater passes all skills, they will receive a patch for the level they have completed and a Certificate of Achievement. The skaters enjoy collecting their badge and showcasing them on their skate bag or clothing. 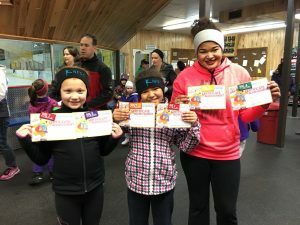 If your skater does not pass their current level, they will receive their testing skill sheet with notes from their coach on the moves they need to work on. Skaters will stay in their current level until they pass all moves required by the USFSA curriculum. Please know, not all skaters will pass their level on the first try, and that is alright. Your skater will need your encouragement and positive reinforcement. Our coaches have been certified by the USFSA standards and are very professional. Please know that we are very confident in our coaches and we support their coaching abilities. Every parent must sign the U.S. 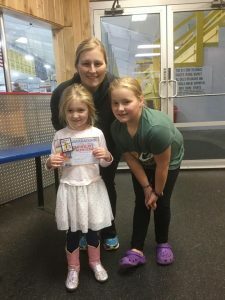 Figure Skating Parent Code of Conduct form. Respect for all skaters and the NFSC coaching staff is required by all parents and family members.